Serious With This R.A. Dickey Knuckleball Catching Mitt? That’s the craziest damn thing I’ve ever seen. 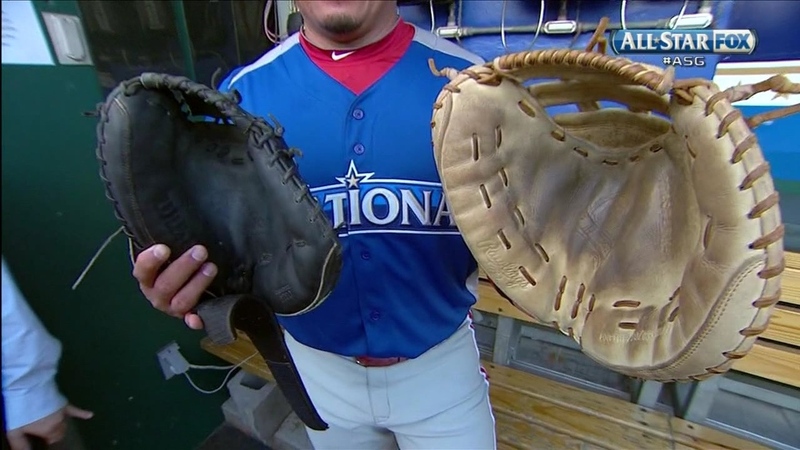 Apparently that’s a screenshot of a regular catchers mitt, next to the catchers mitt that R.A. Dickey had to bring for Carlos Ruiz to use for the All-Star game. Turns out knuckle balls are tough to catch with a normal glove. Couple of things to note here. First, I think the angle of that photo makes it look even bigger than it really is…but whatever, it’s huge. Second, must’ve been nice for R.A. Dickey to know he was actually going to pitch in the ASG… unlike, say, Huston Street. Lastly, this is still the greatest R.A. Dickey shirt that has, or ever will be… made. Buy it here. 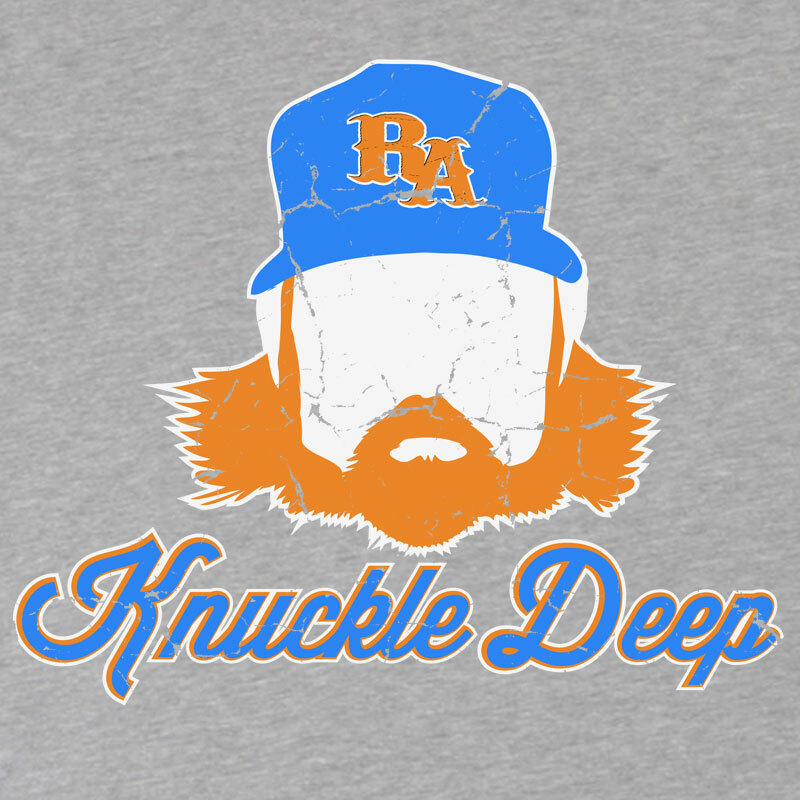 This entry was posted in Baseball, Fashion, MLB and tagged "Knuckle Deep" R.A. Dickey shirt, r.a. dickey, r.a. dickey glove, r.a. dickey shirt. Bookmark the permalink.